The American owner of ‘Bob-Cherry‘ (1871) has very kindly got in touch to let me know that his family has been in possession of the painting since at least the 1940s – probably since its sale in London in 1937. He also sent a photograph of the painting, which tallies almost exactly with the descriptions of the work which appeared in newspaper reviews of the time. 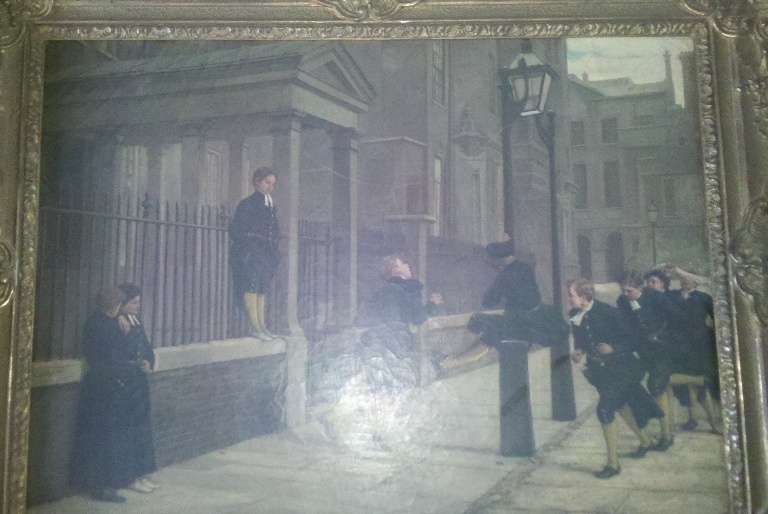 Click on the link to find out more about this painting of Bluecoat schoolboys at play. This entry was posted on Tuesday, September 27th, 2011 at 7:10 pm and is filed under Pictures. You can follow any responses to this entry through the RSS 2.0 feed. You can leave a response, or trackback from your own site.